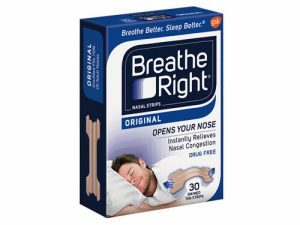 People who snore due to certain nasal problems (they amount to about 20 percent of snorers) may get some much-needed relief after reading our Breathe Right Nasal Strips Review and exploring the product further. Keep in mind that nasal strips are the only over-the-counter snoring remedy that is actually recommended by sleep doctors. They are easy to use and come at a relatively cheap price. It’s also important to note that there are many snorers who swear by them. 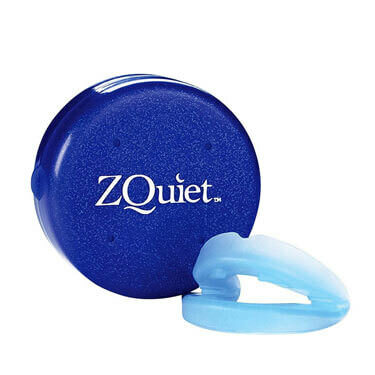 This product is ranked #2 on our Best Anti-Snoring Nasal Strips list. This snoring aid is a drug-free, non-prescription device that works mechanically (from the outside) to gently open your nasal passages. This reduces the resistance to air flowing through the nasal passages and improves your ability to breathe through your nose. In other words, it’s designed to prevent snoring. You will find flexible, spring-like bands within each Breath Right strip, as well as a special adhesive on the underside that gently sticks to the skin right above the flare of each nostril when placed properly on the nose. What happens is that the bands attempt to straighten back to their original shape, gently lifting the sides of the nose and opening your nasal passages, which allows for immediate and continual relief. Your nose is divided into 2 chambers – these are your nostrils. At the back of each nostril, you have a narrow space called the nasal valve, which is only about a tenth of an inch wide. All of the air you breathe in through the nose passes through these spaces. Unfortunately, there are many reasons why they can become blocked. This is where Breathe Right strips jump to the rescue, widening the space by mechanically pulling open the flexible cartilage walls of the nasal valves, making it easier to breathe without the use of drugs. Unlike many other snoring aids that mostly come in the form of sprays, prescription drugs, and mouthpieces, Breathe Right is just a simple strap that you put on your nose and voilà – you stop snoring! 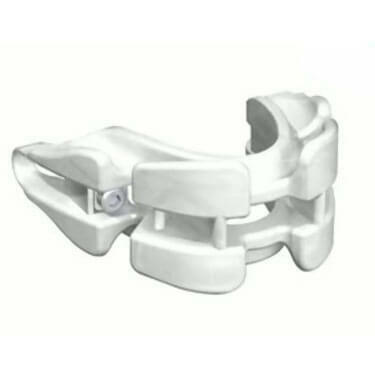 These straps provide relief for congestion due to colds, allergies or a deviated septum. They reduce snoring caused by nighttime nasal congestion. 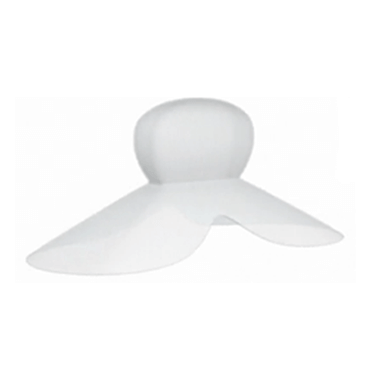 They can even completely eliminate snoring. Note that nighttime congestion doesn’t necessarily come from the mucus that annoyingly builds up in your nose, although it can be a contributing factor. Congestion also occurs when your nasal passages become inflamed, allowing for less air to pass through. Breathe Right Nasal Strips use a combination of gentle but strong adhesive and a unique reflex action to physically pull your nasal passage open – it literally opens your nose so you can breathe better. These straps are also drug-free, meaning that there are absolutely no side effects and you won’t have to wait for anything to kick in. It’s as simple as it sounds, instant relief in the form of a strap. Applying these strips is quite easy too. You have to wash and then thoroughly dry your nose. You shouldn’t have any moisture or makeup on your nose. Then, peel the strip away from the liner, place it on your nose, and press down to ensure it is on firmly. You may want to press and rub for about ten seconds. The strip should sit on the low middle area of your nose, so make sure to place it properly in order to achieve the wanted results. Breathe Right Nasal Strips work like tan strips but the materials used are slightly different, making these strips easier to remove, which is good news for people with dry or sensitive skin. 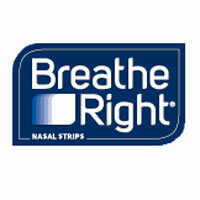 In order to provide the best possible user experience, Breathe Right offers nasal strips in several variations. There are extra strong strips, small strips for children, clear strips for sensitive skin, and strips scented with calming lavender for a good night’s sleep. The strips are gentle yet firm and stick to your skin throughout the night. Both the application process and the use of Breathe Right Nasal Strips is extremely simple. Before applying the strips, clean your face, especially the nose and the area around it, making sure it’s not greasy. Pat-dry the skin, remove the protective foil, and place the strip across the bridge of your nose. The strips feel comfortable and light and many people forget they’re even there. Some people can’t even imagine sleeping without a Breathe Right nasal strip anymore. Just remember to take it off in the morning! If you buy a pack of nasal strips, they average about $0.50 each. However, keep in mind that these strips are not reusable. If you attempt to use a strip that you already used before, you will not be able to apply it properly. So, if you wear one every night, this amounts to about $182 per year. Of course, they offer discounts if you purchase more packs at once. In that case, the price can drop to about $0.30 per strip. 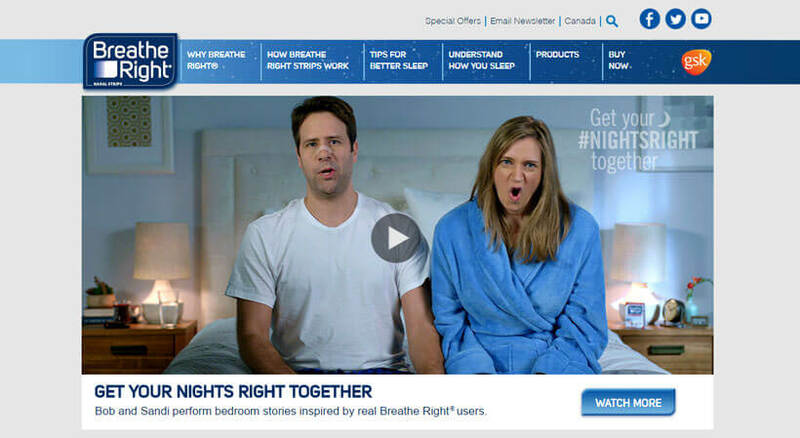 If you are still unsure if Breathe Right is right for you, check out the key advantages and flaws of this snoring aid. If you’re looking for a way to reduce snoring without popping pills or wearing mouthpieces, we hope that our Breathe Right Nasal Strips review pointed you in the right direction. These strips are expensive, but there’s no price too high for a good night’s sleep. Our ratings are the result of an objective and independent evaluation of Breathe Right, generating the final rating that reflects the overall quality of the company. Ratings may change as the product introduces changes. Breathe Right user rating based on 9 user reviews. These trips are D only thing allowing me to breathe through my nose throughout the night and fall asleep without disturbing my wife. Having said that, I found that I can't use them more than 2-3 nights in a row, otherwise I develop a light to redness on both sides of my nose. I don't know if it's me or the strips but it starts itching uncontrollably after a while and I have to stop wearing them for a couple of days. All in all, they work but there's something in them that causes irritation for me. They definitely help but don't seem to stop my snoring completely. I've noticed that my snoring is directly tied to how tired I am. The more I work, the louder I get at night. Bottom line, at least my wife can sleep in the same room as me now. I don’t snore at all but I suffer from horrible allergies to all sorts of things, from pollen to hay, down, dust, smoke…So I don’t sleep that well at night because as soon as I lay down my nose backs up. In the morning I’m exhausted and have horrible headaches. Sooooo…I decided t give these nasal strips a shot. Guys, I don’t know how, and why, but they DO WORK! I can actually breathe through my nostrils at night, both of them!! Breathe Rights are amazing and everyone with nasal congestion or allergies please do yourself a favour and get some! We have several packs of Breathe Rights at home – some strips for kids for when they get cold and flu and get congested, extra clear ones for my wife when she gets stuffy nose, and regular ones for my snoring. We simply love them and honestly couldn’t imagine ever sleeping well without them, especially during flu season. I have deviated septum so basically I never breathe right, especially when I sleep. I have tried BreatheRight strips after I saw a friend using them on a camping trip and now I use them all the time! I sleep like a little baby! I didn’t want to spend a load of money on those mouthpieces, so I opted for breathe right. It worked well enough when I got sick and couldn’t breathe properly, but it did nothing for my snoring problem. I went through the whole box of these strips and nothing changed. Didn’t work for me. The skin on my nose got irritated, probably because of the adhesive. Surprisingly, these strips reduced my snoring. This is the least conspicuous snoring aid I found and the most affordable one, so I just had to try it. I sleep better and feel better in the morning but I’m not sure I stopped snoring. We found 0 verified Breathe Right discounts for April, 2019. With our collection of Breathe Right guides, you can have expert assistance every step of the way. We bring you all the key information you need to know before and after you purchase Breathe Right, covering everything from Breathe Right effectiveness, proper use and maintenance, and suitability for different types of snorers to cost and refund policy. Our collection of Breathe Right guides is constantly expanded, so be sure to check back for more useful tips and instructions. Does Breathe Right Stop Snoring? - which offers a clear and honest answer to the question of whether Breathe Right strips can completely eliminate snoring. In order to be sure that Breathe Right truly is the best solution for your snoring troubles, you need to know what makes it superior or inferior to its alternatives. Discover how Breathe Right compares to other popular snoring aids of its kind with our detailed feature and price comparisons and easily determine whether you are making the right choice.